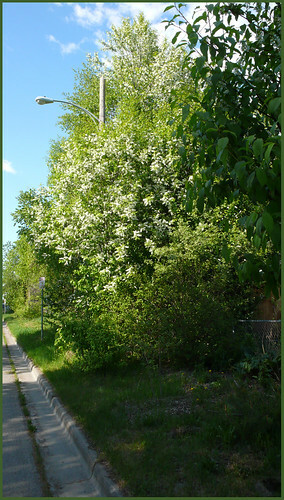 European Birdcherry, aka Mayday Tree. This one is growing along a side street in the Grandview Gardens neighborhood. 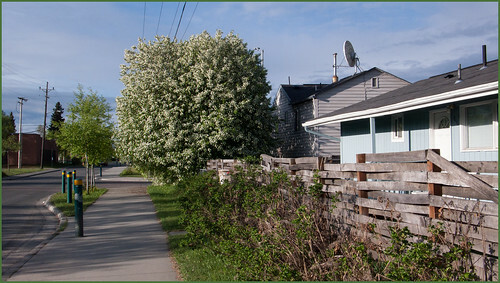 These trees were reclassified as invasives in 2005 — but they never fail to make me smile at this time of year, when they explode with white blooms. Hard to believe all these trees were bare less than three weeks ago. Anchorage can be such an amazing place.